I have always been a fragrance gal, but strangely, I had never tried a fragrance with the actual range that comes with it - you know, the lotion, perfume body spray and deodorant that often comes with the fragrance. So with Spring here and all, 2 weeks ago I began using the Revlon Pink Happiness Playful Wishes range, and there is just something so fresh, so playful, so happy about Revlon's new addition to the Pink Happiness family. Where has this happiness been all my life? To add a little more happiness to your life too, I am giving away a Revlon Pink Happiness Playful Wishes hamper to one lucky Zee Fashionista reader! Yes, that is the fragrance, the perfume body spray, the deodorant and the lotion. My 2 (1 & 6 yrs) Little girls makes me playful.. dancing barefoot & singing along to Justin Bieber... They light up my life! being a quirky,fun, out going fashionista like myself, playfulness is embedded within me! colours are my life being fun is my name! 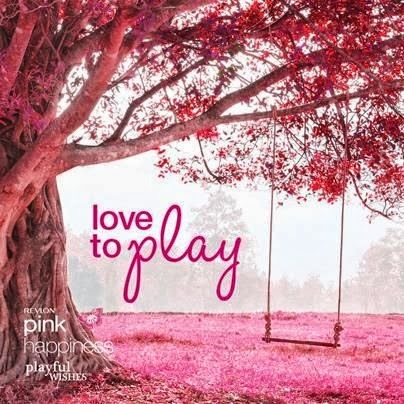 Sunshine, flowers, outdoors & lovely people, I want to play forever = my life! What makes me playful is the feeling of being fresh from a bath and getting dressed up all glam and smelling nice for a day out with my little boy. He always bring a playful side of me. I already like Revlon South Africa on facebook and also follow on twitter. love your yah and your blog!! I'm already a fan of the Revlon page. Reminding myself not to sweat the small stuff keeps me playful.